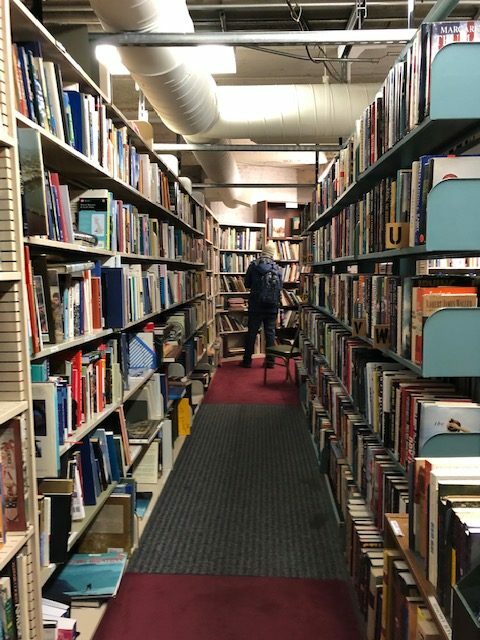 Bookstores around the country are disappearing. Fortunately, this gem underneath the Old Courthouse is still around. All of these books are donated to Encore volunteers who sort, price, and sell them. I like this place a lot. When you enter, you’re greeted with handwritten posters and table displays, and usually, a nice lady near the entryway. Encore Books is entirely staffed by volunteers who price, sort, and sell the books. 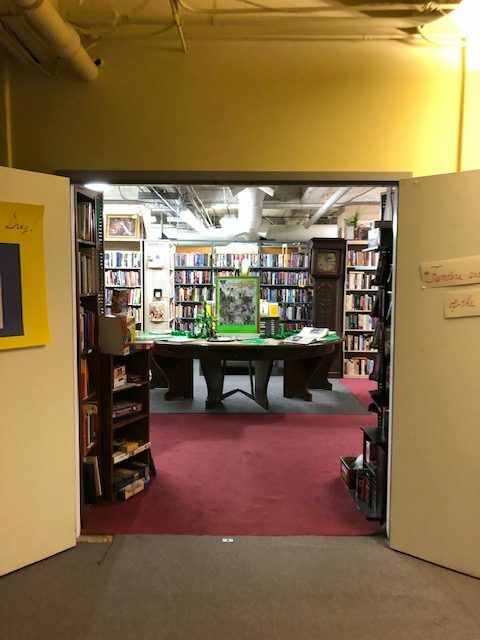 It’s kind of dorky to say this, but this place is special because reading is special, something that Woodside English teacher Lisa Prodromo can attest to. All of the books here are reused, they’re all in good shape, and they’re extremely cheap. At used book stores like Encore, you can find books with writings in them already. You can find books on whatever you’re passionate about. Woodside sophomore Stephanie Alfadel agrees. Me too. I love to go and browse books there. There aren’t many other places around here that are so quiet, respectful, and seem like they’re from a different universe like Encore. Bookstores like this undoubtedly have value to the community. “They were little places you hung out and met other weirdos,” said Prodromo. However, bookstores around the country are disappearing. Rising rent, lower wages, and the easy accessibility of books online are sure to hinder surviving bookstores. For many people who aren’t literature teachers, it’s tough to find time to read. Amazon has made bookstores pretty much obsolete. For now, because of support from the San Mateo County Historical Association, Encore remains a benefit for appreciative Redwood City bookworms. Bookstores are important community fixtures. The main room of Encore features tables full of volunteers' book picks and handwritten signs.